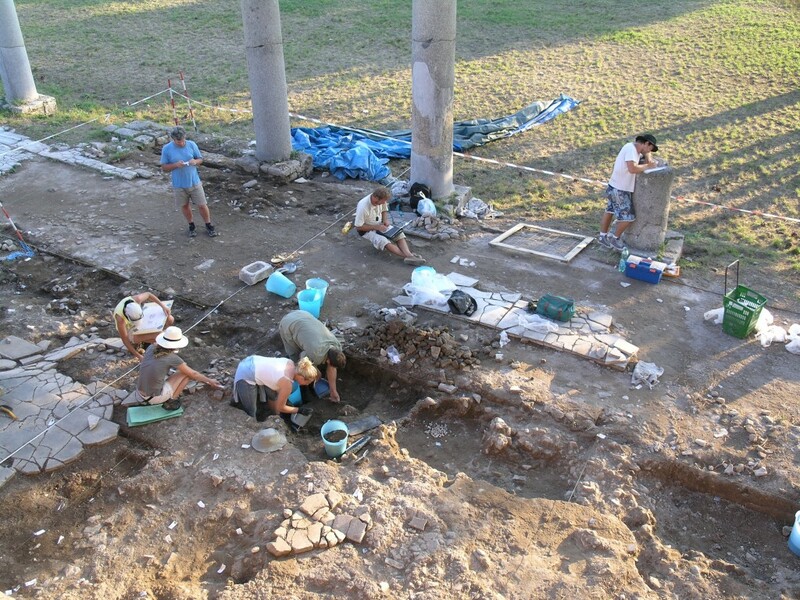 The excavation-site does not open before 8:30 AM, so in the mornings we have quite some time to get prepared for the day. 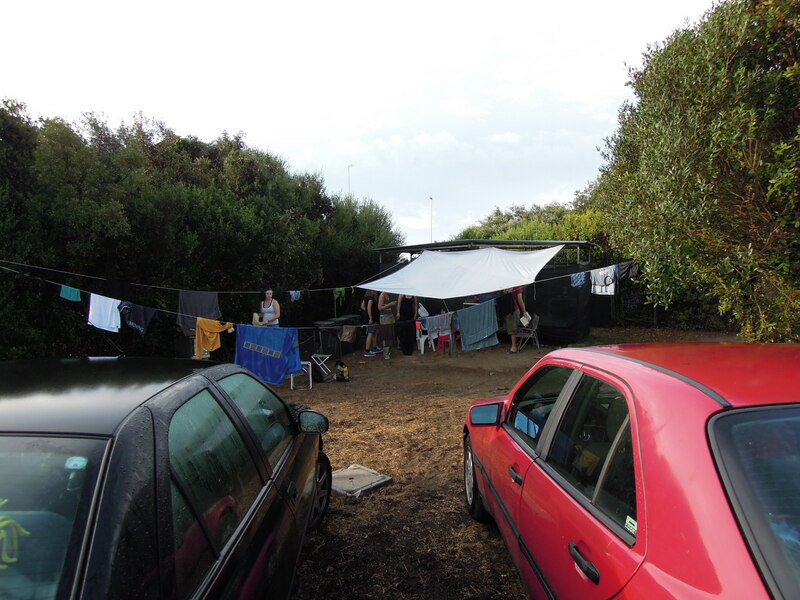 This includes breakfast, a swim in the ocean at the private beach of the campsite, and if needed, a shower afterwards. 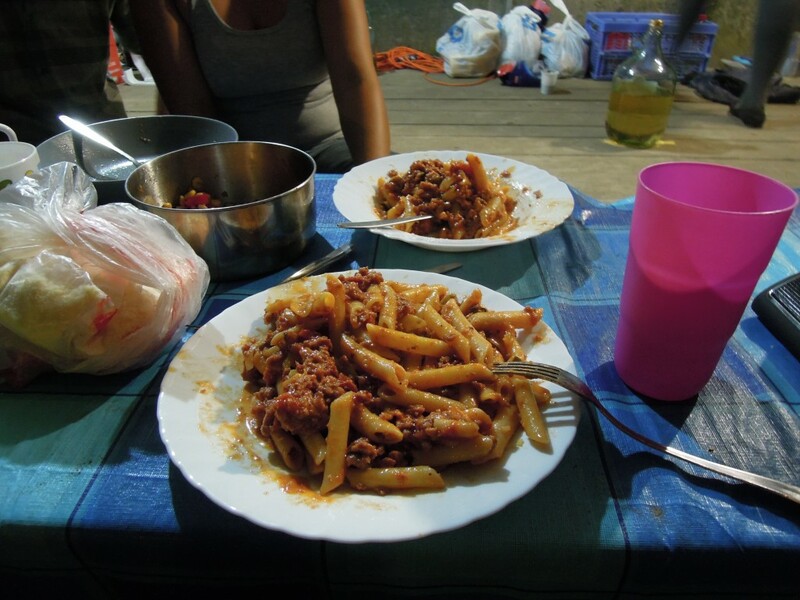 It is possible to get breakfast at the beachbar – italian style of course. 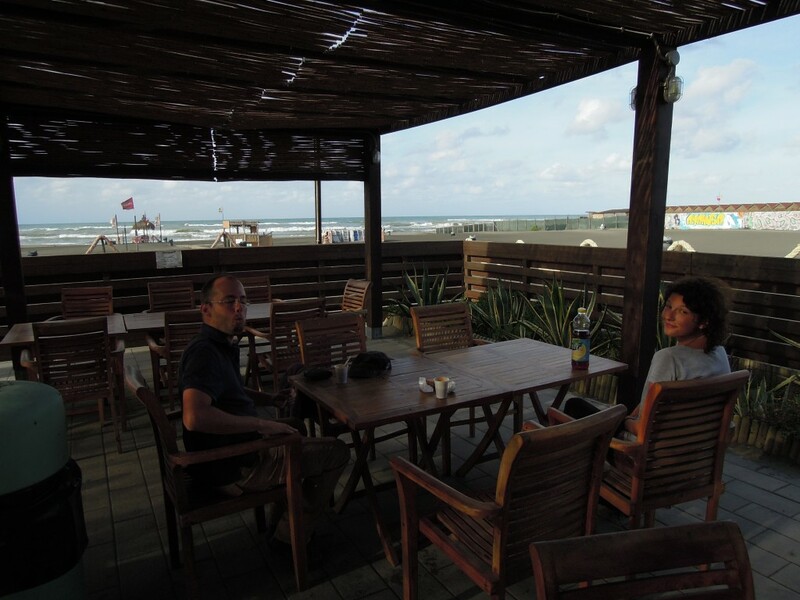 Everybody enjoys a breakfast and cappuccino at the beachbar after a nice swim in the ocean (see picture below). 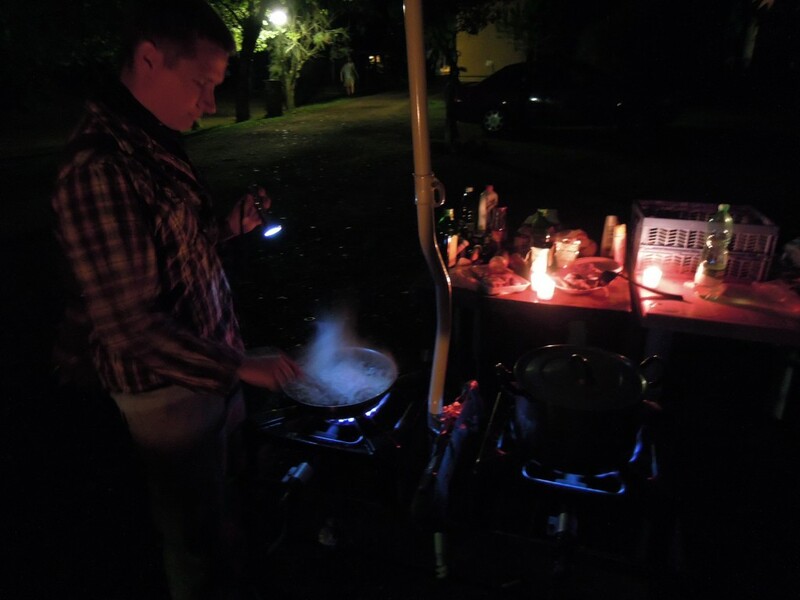 It is also possible to get some breakfast at the restaurant situated at the campingsite (see picture below). 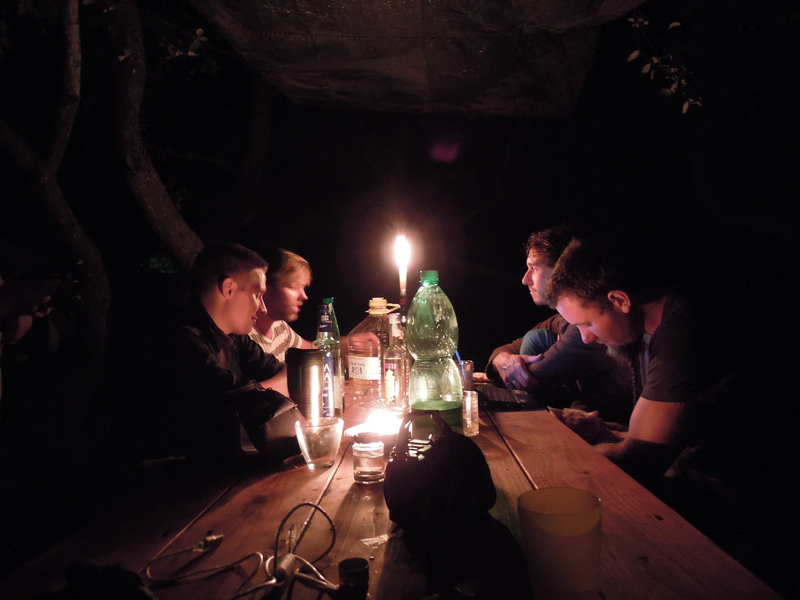 Before leaving the campingsite in the morning, it is decided who will go by car and who will go by train. Only 5 persons fit in the car including the driver (Axel Gering brings his own car). 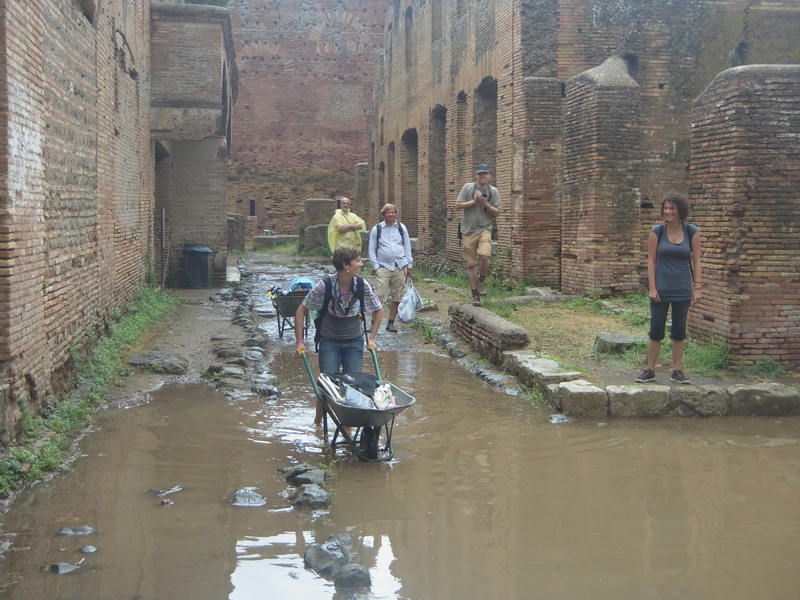 In 2013, we had two cars, which meant that 10 persons could go by car (see picture below). 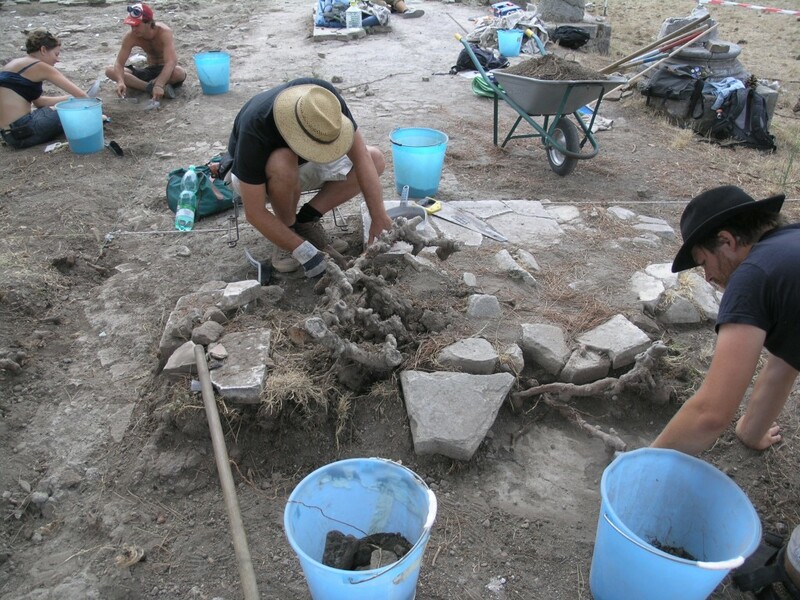 The train-team (see picture below) often arrives 20 mins later, and goes straight to the excavation-area, where the remaining team from the car(s) have prepared the equipment already. 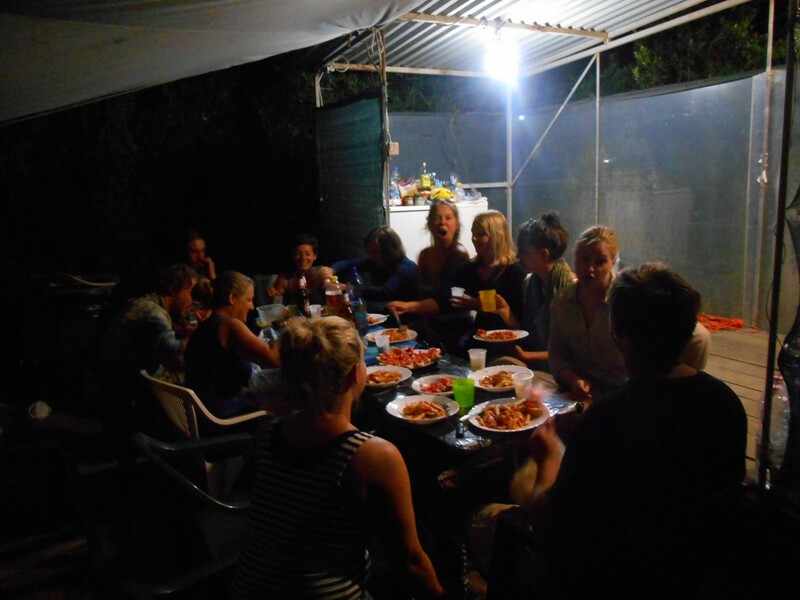 After arriving to the Scavi di Ostia, we delegate the different tasks for the day, which amongst others include getting the equipment and choose the lunch-team. 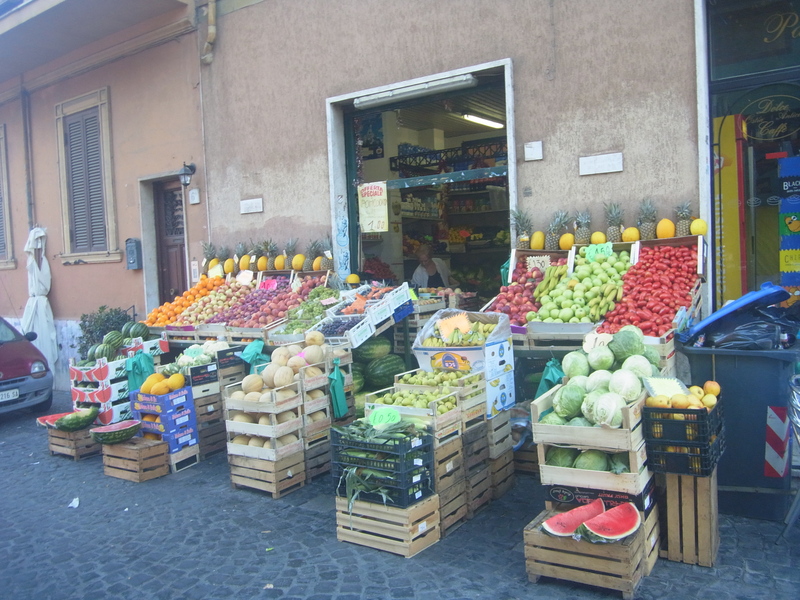 The lunch-team visits the nearby borgo, where cheap vegetables (see picture below), pizza, fresh meat a.s.o. can be bought in the local alimentari, while the other teams (measuring-team, several digging- and drawing-teams for the different areas a.s.o.) start their work. 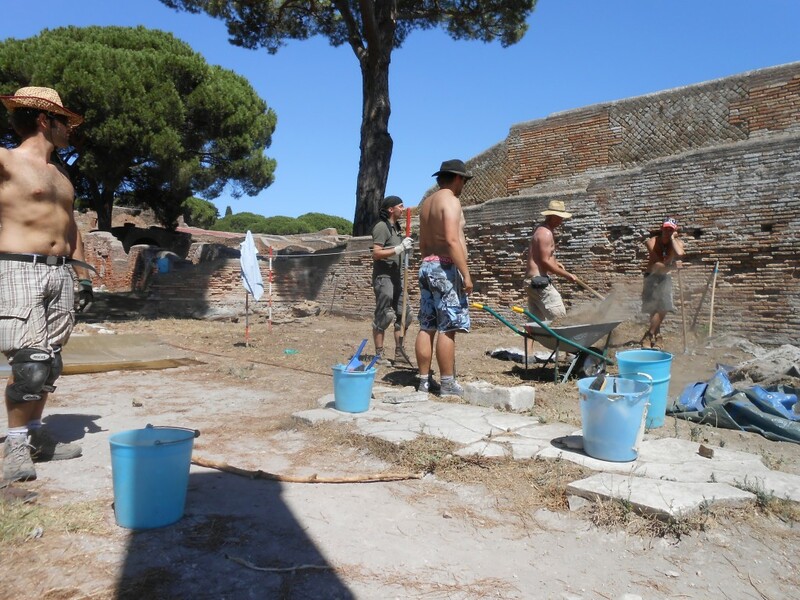 One part of the team starts the de-vegetation in an area that has not been excavated and documented so far (see picture below). 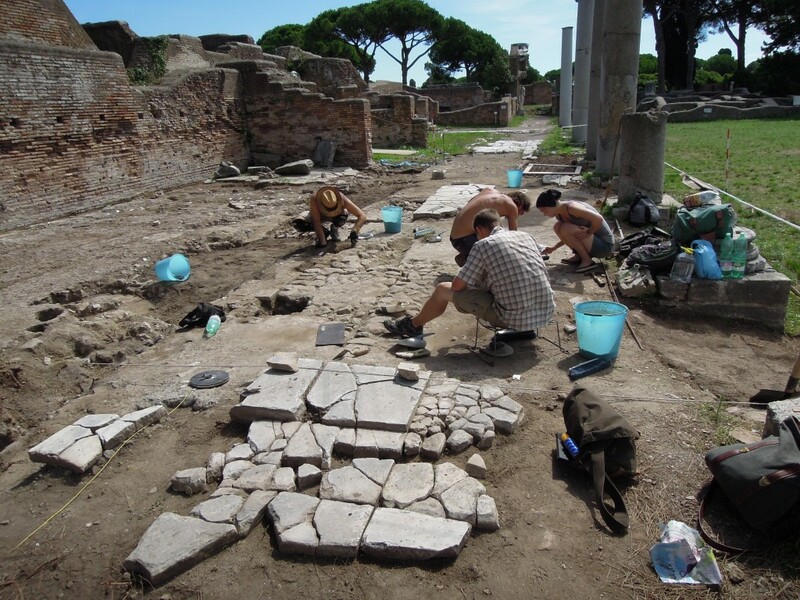 After the de-vegetation, the excavation-, drawing-, and measuring-teams start their work and continue until lunchbreak (see picture below). 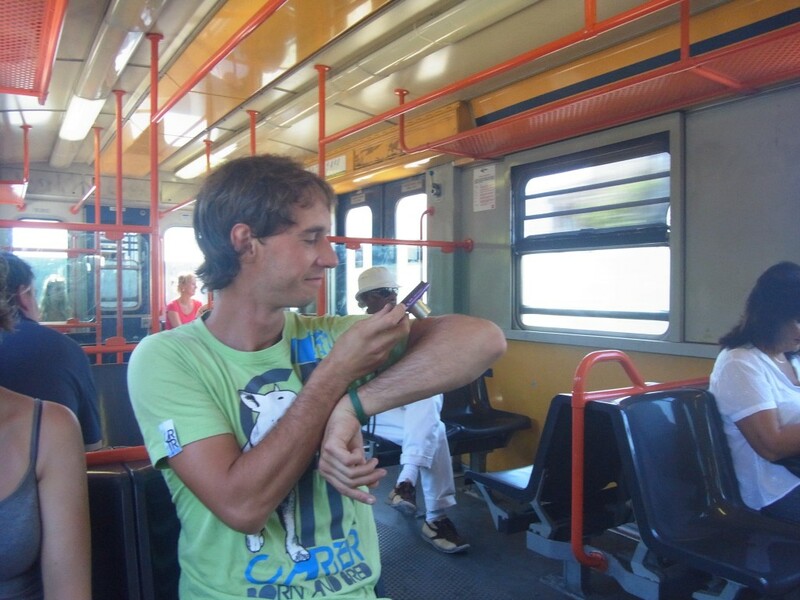 Between 12 AM and 2 PM we will have our lunchbreak. The break is roughly 2 hours, due to the extreme heat-conditions during midday. 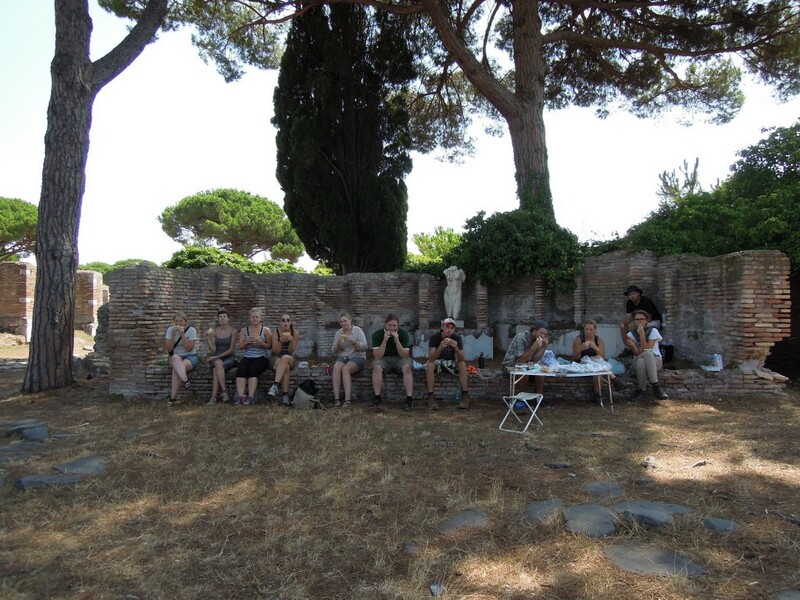 The entire team enjoys the lunch together in a shady place near the excavation. 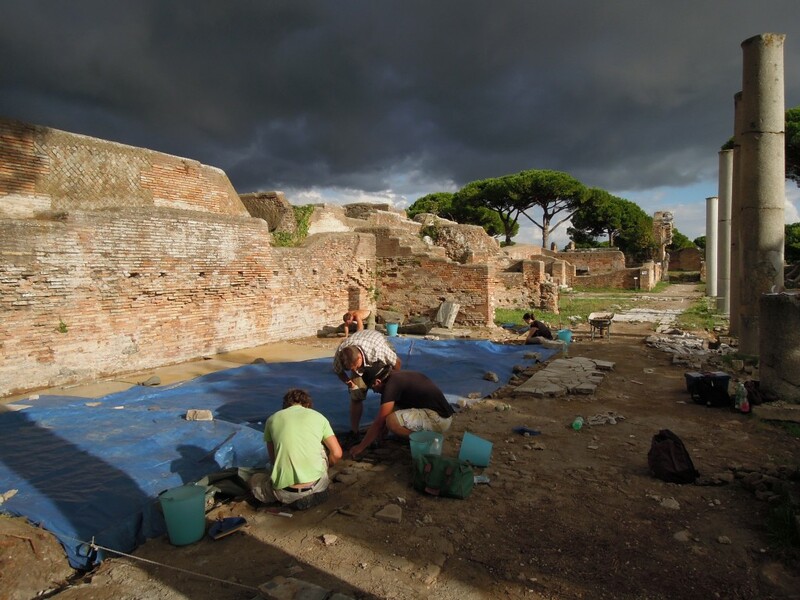 In 2013 the preferred lunch-place was the Ninfeo delle Venere (see picture below), because it is situated just south of the excavation-area. 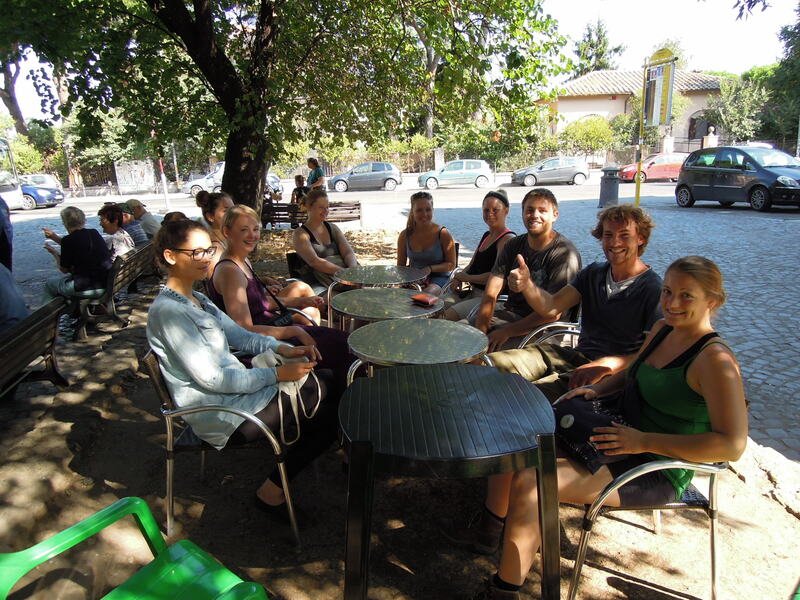 During the breaks, it is possible to make some excursions around the city (see chapter Teaching), or to go to the cafeteria and get a coffee. 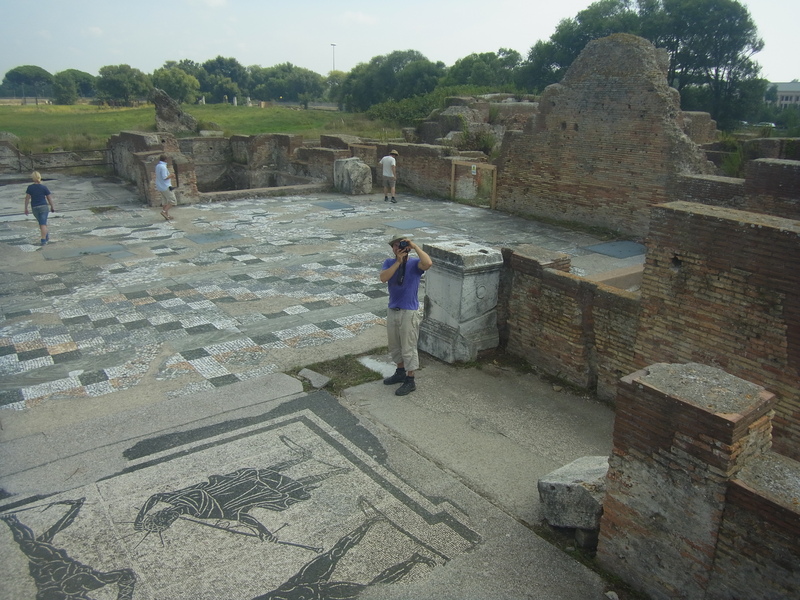 In one break in 2012, we made a little excursion from our site on the Forum, went along the Decumanus in direction west and ended at the Terme di Porta Marina (see picture below). 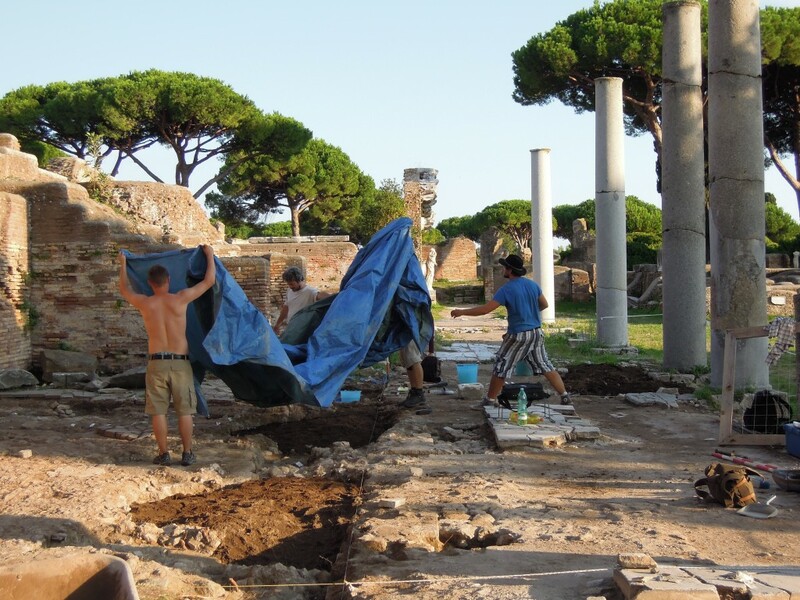 After the lunchbreak we continue work until 7.30 PM, where the Scavi di Ostia closes (see pictures below). 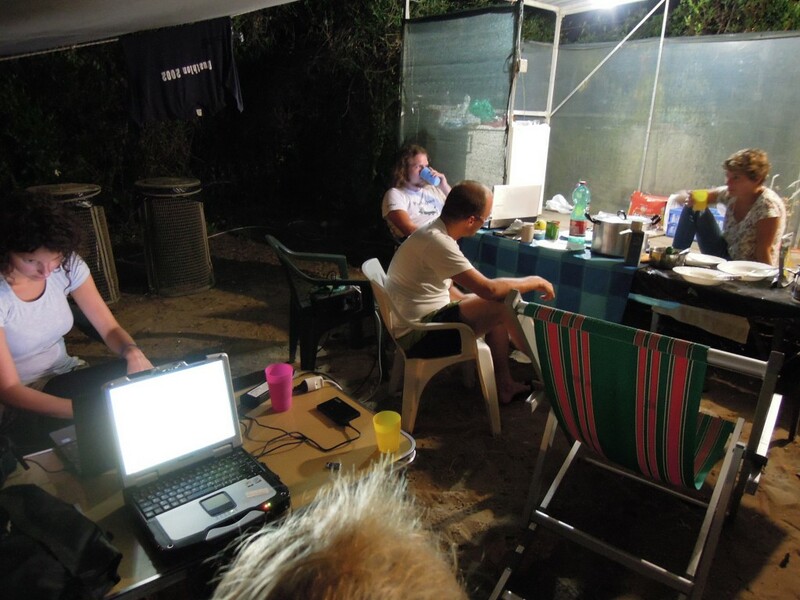 At 7 PM we stop working and start to pack up the equipment in order to secure the area for the next day (see picture above). 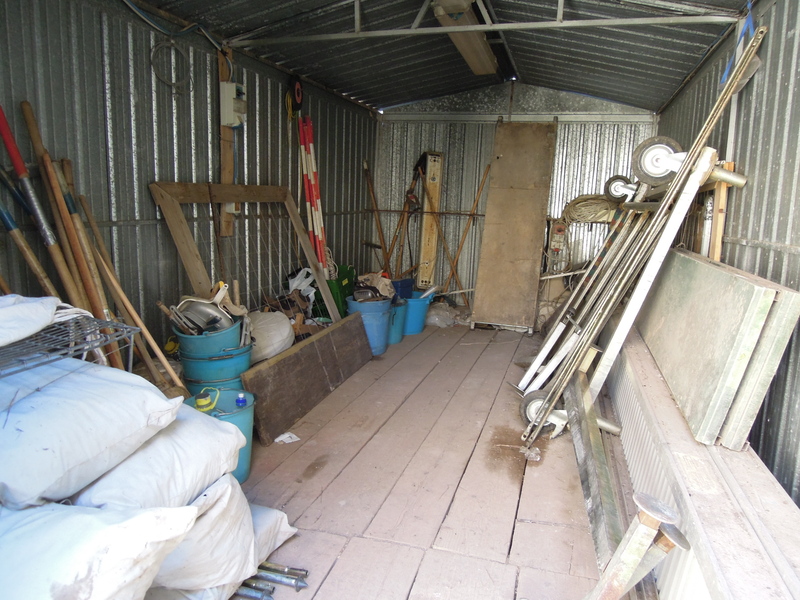 Thereafter the equipment is put into the shed (see pictures below). 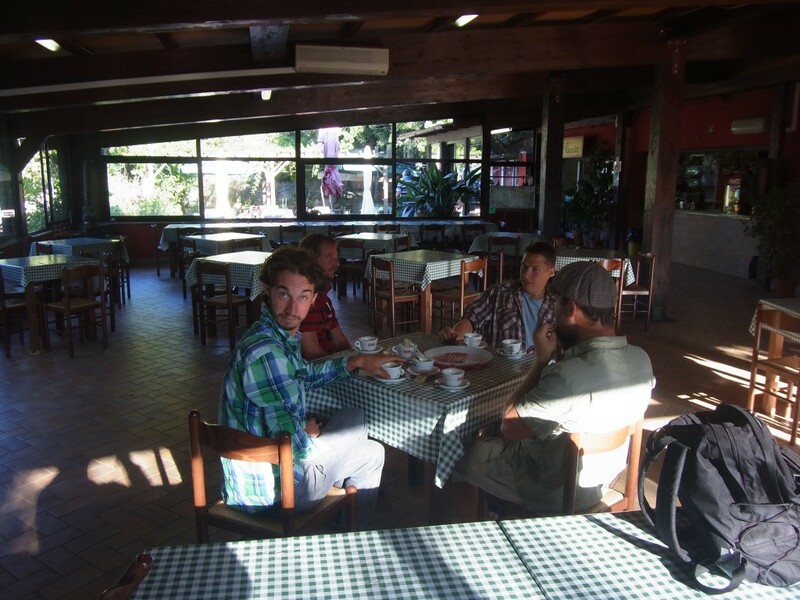 After a hard day of work, we visit the local cafe in the borgo (see picture below), where we have something to drink. Everybody can join the locals, but of course voluntarily – it is also an option to go straight back to the campingsite. 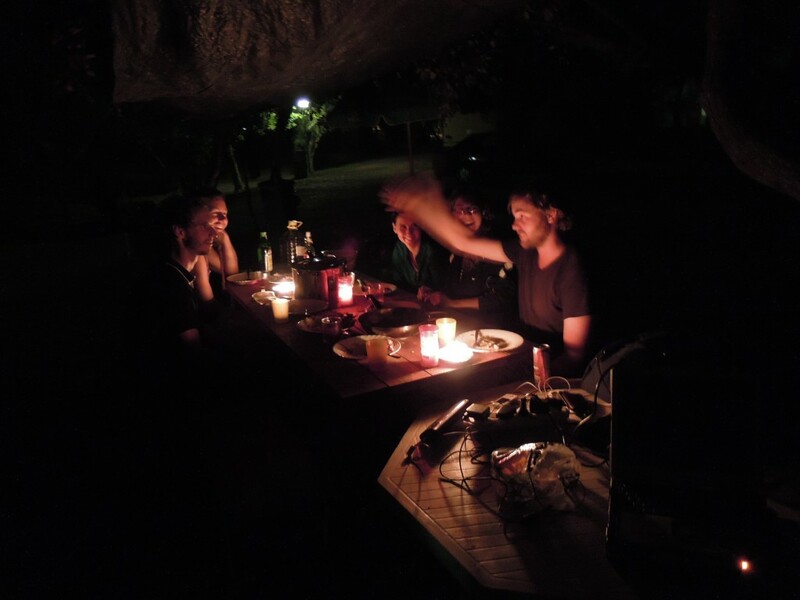 The dinner-team will be defined during the day, and it is still possible for the dinner-team to have one drink at the cafe, before heading back to the campingsite, where the dinner will be prepared (see picture below). 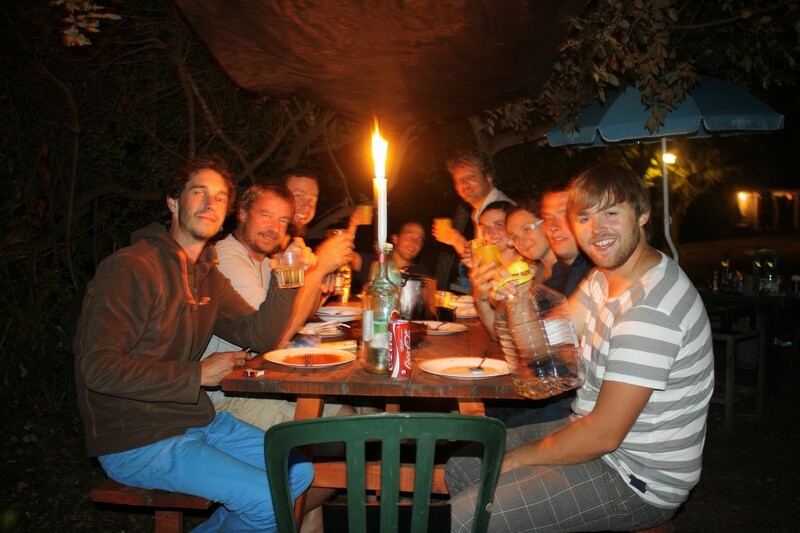 The remaining team can stay a bit longer, before heading back to the campingsite where the dinner will be served. 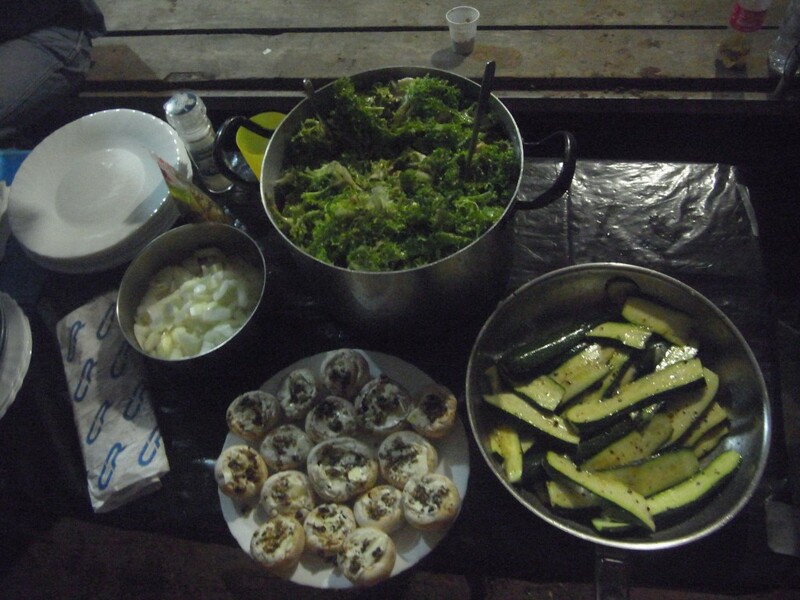 After the arrival of the remaining team, the dinner will be served, eaten, and enjoyed (see pictures below).